BRUSSELS - The restrictions on Bulgarians and Romanians being allowed to work throughout the EU will be lifted on Wednesday but the debate surrounding the move has been bitter. On 1 January, Austria, Belgium, France, Germany, Luxembourg, Malta, Netherlands, Spain and the UK will no longer be allowed to bar citizens from the two countries from coming to work. The 7-year restrictions, imposed from the moment Romanian and Bulgaria joined the EU in 2007, were the longest permitted under EU rules, meant to allow national labour markets a transitional period. However in the meantime there has been a rise in anti-immigration parties in several member states while the EU as a whole has seen record-high unemployment rates. The economic crisis prompted Spain to reverse its initial decision not to bar workers from the two countries to then restricting Romanian workers. But it is the UK where the debate about the expiry of the 31 December deadline has been the fiercest. Much of the internal discussion has focused on the fact that the previous government underestimated the number of migrants from other EU states after the 2004 round of enlargement. UK Prime Minister David Cameron, spooked by the rise in popularity of the anti-immigrant UKIP party, has stoked popular fears about benefits tourism: people coming to the UK simply to avail of its welfare system. Just weeks before the deadline, he announced a series of measures to curb benefits for Bulgarians and Romanians, including a minimum-earning threshold as well as deportation for those found begging. The government made the move despite admitting that it has no figures on welfare tourism. It has also led a front at the EU level along with Germany, Austria and the Netherlands calling for a rule change to make it harder for migrants to get benefits. The European Commission responded by saying none of the four countries has provided any evidence to back up their claims. Brussels also produced a study showing that the majority of migrants go to other EU countries to work and on average use the welfare system less than the nationals of the country. Under pressure from the handful of member states, the commission in early December announced some new rules to help prevent cases of welfare tourism. However they were denounced as insufficient by both the UK and Germany where the anti-immigration debate is also picking up. The CSU party, the Bavarian allies of German chancellor Angela Merkel, has drawn up a list of proposals to make it more difficult for Romanians and Bulgarians to have access to the welfare system. Over the weekend it was accused of populist tactics for considering slogans such as "those who cheat are out." Politicians in Romania and Bulgaria have called for tolerance in response to the debate. Romanian Prime Minister Victor Ponta told euronews early December that Romanians will not invade the UK and that those who wanted to go abroad had already left. Bulgarian President Rosen Plevneliev asked whether the UK is switching "to isolation, nationalism and short-term political approaches." Meanwhile a recent poll showed that sentiment among the population is more nuanced than the debate at political level. An Ipsos Mori poll found that 68 percent of Britons would welcome Romanians and Bulgarians if they integrate and work hard. Tens of thousands of Romanian children are growing up parentless because their mothers and fathers are working abroad, according to new figures which raise questions about the extent and impact of large-scale migration on the eve of new EU rules governing Bulgarians and Romanians. According to the Romanian ministry of labour, family and social protection, there are now more than 80,000 families in Romania in which both parents are working abroad while their child or children stay at home, with 35,000 more families in which one parent is overseas. Those are just the official numbers; few parents inform the authorities about their intention to go abroad and many believe the real number could be significantly higher. "This is a big issue for Romania," said Stefan Darabus, Romania director for the international NGO Hopes and Homes for Children, which runs programmes in the rural north of Romania to help children left behind by their parents. "In the cities and countryside, poverty and job opportunities take these parents overseas, but the children left behind are strongly affected by their absence." "Those who grow up without the love or security of their parents are going to be negatively affected later in life," he added. In the southern Bucharest neighbourhood of Ferentari, one of the poorest areas of the Romanian capital, around two dozen young children sit in a classroom during lunch, colouring in pictures of fruit bowls and playing while a teacher looks on. The children vary in age from five to 10 years old, but they all have something in common: they all have one or both parents overseas. Cristina, one of the children, says her mother is in Spain looking for work. She has been gone a month this time already, but in the past she has been away much longer, she says. Her father is no longer in the picture. "Mum doesn't want to stay away long. She just went there to make money for me and my sister," said Cristina, a nine-year-old who lives with her grandmother when her mother is away. Many find themselves missing regular emotional or physical support as they grow. "These children are in a very vulnerable situation, being deprived of their parents' affection, care and support," said Andreea Biji, a psychologist who works for Save the Children, which runs the classroom-based programme in Ferentari as well as programmes in 15 counties across the country. Some Romanian parents have taken their children overseas with them, but for many this is not an option. "In France my husband earns €600 to €700 a month, which is a lot over here but not much over there," said Vasile Luminita, a 28-year-old mother of five whose husband has been working on a construction site in France for the last 18 months. "It is hard. Many times we have considered all moving but he stays in a very small room and sends the money back to give us a better life in Romania." Luminita says the separation is hardest on her older children. "They understand the situation but it is hard for them always to see their father leaving," she said, cradling her two-month-old son, who has yet to see his father. For some children in Romania growing up without their parents in their daily lives has come to seem normal. Fourteen-year-old Amira Dumitru's mother left Romania when she was 11 months old to find work overseas. She now lives in Jordan and returns once a year to spend time with her daughters. "I don't find it strange to grow up without parents [Dumitru's parents divorced before she was born, and her father lives elsewhere in Bucharest] – in my class alone there are three or four others like me," said Dumitru, sitting in the apartment she shares with her grandmother in the suburbs of Bucharest. Dumitru says she is lucky, in that her grandmother raised her and her sister well and makes sure she gets good grades at school. When she is at the homes of friends who have both parents present she feels she is missing out on something, although she says she is not sure exactly what it is. In recent years the Romanian government has tried to push through changes to better manage the situation of children left behind, especially those in more unstable environments. "Things have become better – there are now daycare centres where kids can be looked after and other support services," said Nicolae Gorunescu, the executive manager for the government child protection agency in Bucharest's District 6. He said the government had recently introduced a law whereby parents not only had to register before going overseas to work but a judge had to approve of the chosen guardians. "The problem is a lot still don't tell the authorities that they are leaving. We have seen cases of teenagers being taken in by social services because they are fending for themselves, with just a few hundred euros sent home by their parents," he added. BUCHAREST, Romania (AP) A court has sentenced media tycoon and former politician Dan Diaconescu to three years in prison for blackmailing a mayor and a businessman. A Bucharest court Wednesday also sentenced a colleague to three years in prison and another to 2 years for blackmail in the same case. The ruling can be appealed. Diaconescu says the charges are politically motivated. The court said Diaconescu and his colleagues threatened Ion Mot, mayor of Zarand, in 2009, broadcasting corruption allegations on the popular "Dan Diaconescu Live!" show. They demanded euros 200,000 ($270,000) to stop the broadcast. Mot said he paid euros 40,000 ($64,000). Diaconescu was also convicted of blackmailing another businessman in 2005. Diaconescu's populist party won seats in Parliament in 2012, but he failed to win a seat. ON January 1st 2014 Britain will be engulfed (or possibly "inundated", "flooded" or "swamped") by Romanian and Bulgarian immigrants. That, at least, is the claim now being made almost daily by Britain's tabloid newspapers, which appear to be in paroxysms of panic about the approaching expiry of transitional controls on nationals of those two EU member states. Many fewer Romanians and Bulgarians will come to the UK than the press implies (not hard: some reports cite the 29m-strong combined population of those two countries as if it were an estimate of arrival numbers). Still, David Cameron has made a series of media interventions over the past few weeks designed to assure Britons that he is as petrified as they are. Theresa May, the home secretary, has been even tougher in her comments. Quite aside from the benefits of EU immigration (covered in The Economist last week), part of the story is almost entirely absent from the media coverage: Romania's accelerating economy. Earlier this year, for example, the Mail sent a reporter to speak to some Romanians in their “tiny clay hut”. The finished story, under the headline “by January, the only thing left will be the goat,” gives some indication of how Romania is portrayed in the tabloids. Yet the country is wealthier, more dynamic and more sophisticated than such stories suggest. Unemployment there is relatively low (and lower than in Britain). Its budget deficit puts Britain to shame. The government is in the midst of liberalising the economy, opening up new sectors (most notably, energy and telecoms) to competition and investment. Economic growth is at 4.1%. Wages are rising fast. Adjusting for prices, Bucharest’s GDP per capita is above the EU average. Indeed, the average Bucharest resident is comfortably better off than the average resident of Manchester. This forgotten story is an important antidote to Britain's panic. First, it shows the press is overstating the “push factors” encouraging Romanians to leave for Britain. Second, and most importantly, it shows that the benefits of Romania's EU membership are mutual: British individuals and companies can benefit from travelling in an opposite direction to the "wave" of migrants expected on January 1st. A feature in Ziarul Financiar (a respected Bucharest business daily) today makes that point well. This argues that although “Britons do not want Romanians,” they are keen on Romanian consumers. Between 2010 and 2013 British firms did an average €6.3 billion of business annually there, double the level of 2007, when it joined the EU. Since its accession, Romania—considered one of Europe’s few “tiger” economies—has been worth some €27-30 billion in turnover and €3.7 billion in profit to companies based in Britain. Several have even received multi-million-euro subsidies from the Romanian state (worth remembering when politicians bang on about Romanians costing British taxpayers money). And the true benefit may be even greater, as these numbers ignore British companies active in Romania but listed elsewhere—like Vodafone, which (for the purposes of Romania’s trade statistics) counts as Dutch. The article also notes that London, as Europe’s leading financial centre, has benefited from Romania's economic emergence. Two of its major companies—A&D Pharma and ROMGAZ—have listed in Britain’s capital in recent years, generating millions in fees for the London-based banks, lawyers and consultants that they hired. This highlights another riposte to the tabloids and government ministers. Not only do migrants work hard and boost the Britain’s economy. Not only does Romania’s EU membership give British companies a free run at the country’s economic boom. But Romanians in Britain create links with their home country, linking together the two positive trends. Few Britons speak Romanian (precious few even speak German) and few understand how that country works. That might act as a brake on Britain's economic links with this boom economy, were it not for Romanians in London, Manchester, Birmingham and elsewhere who can open new channels of communication and trade. For Britain, which aspires to export 60% more to Romania by 2017, that can only be a good thing. British politicians who fret about spurious immigration projections while championing their country's place in a "global race" should take note. Mioara stands on her doorstep in rural Romania, an infant clinging tightly to her neck and a toddler attached to each leg. The 36-year-old Roma woman is the mother of eight. Her two oldest children are blind and attend a free boarding school in Iasi, on the border with Moldova. Mioara — whose last name has been withheld out of concern for her children — is eligible to collect a small amount of money from the government to help with the three youngest kids, who won't leave her side. Until recently, her middle three children were wards of the state. She gave them up, she says, because she couldn't afford them. Two of them were just returned home through a trial program that reunites at-risk and abandoned Romanian children with their biological families. "When we started the project, we were anxious whether it was OK or not," says Ionel Armeanu, head of the Department of Child Protection in Vaslui County, where the project is taking place. "The program was very good in the end." The project is a joint effort between the county and SERA Romania, a nongovernmental organization, with the two groups splitting the tab of more than $500,000. Organizers of the project hope it can serve as a model for child-protection departments nationwide. Romania continues to struggle with the legacy of abandoned children nearly a quarter-century after the fall of communist dictator Nicolae Ceausescu. In early 1990, journalists discovered that tens of thousands of abandoned children were living in squalor in state-run institutions. Today, 75,000 children are still in state care, and it's believed some 150,000 others are living on the streets. In a little more than a year, Vaslui County has reintegrated 160 children — out of a goal of 200 — back into their biological families. Some had been living in orphanages, but most were in foster care. Their reintegration was a multistep process. Social workers and psychologists examined 530 cases, considering everything from whether the families could be located, to the physical and mental health of the parents and children, organizers say. Two hundred families were selected for reintegration. Of these, 40 attempts didn't work out, says Catalin Ganea, head of the project for SERA. Some of the children rejected their families, and some biological parents refused to take the children back. In other cases, project managers found home conditions to be unsatisfactory. A social worker is charged with visiting participating families once a month for eight months after the initial homecoming. But one of the program's psychologists admitted that sometimes — namely, in the winter — it's not possible to conduct the home visits. Much of rural Vaslui, where most of these families live, is only reachable by truck along long, bumpy mud roads. In return for accepting the child back into the home, the families received goods based on individual need. For example, the project organizers gave building materials for a home to some, and a washing machine, a refrigerator or a heater to others. There were no cash payments involved. In some cases, families who had heard about the program from others approached the group, proposing they would take back their child in exchange for appliances or building material. Ganea says these proposals were turned down, as were "strange requests for material help" that came from families who had been accepted into the program. Much of Vaslui County is rural. Much of it is poor. The majority of these kids have gone home to basic dwellings, often two or three rooms made of concrete blocks, dirt floors and open doorways. Few have electricity, running water or indoor bathrooms. Mioara, the Roma woman, explains that Ionuts, one of the two children who just rejoined the family, is having problems breathing. It's probably asthma, says Ganea, the SERA official. Without the ability to control the humidity, the house can be damp. "Sometimes the material condition is not very good, but it's important to have the child in his [biological] home," Ganea says. "The first question is if he is safe in his family or not." Mioara's family started out living in a cave they dug into the ground. All that remains of it now is a small ditch in the side of a hill. They then moved into a one-room cement block house that neighbors built for them. Now, that structure sits, slowly crumbling, beside their newest home, which was built by Mioara's husband and neighbors using materials provided by the reintegration project. "We have mothers, we have fathers, we have grandmothers, we have aunts: Our objective is to bring the child into his family," says Ganea. Some of the children in the program have been living in orphanages, but most come from foster families — some had lived with the same family for a decade. There are 1,500 kids in foster families in Vaslui County. The role of the foster parent, known as a maternal assistant, is a paid job in Romania. Foster parents make 600 lei, or about $200 a month — the same as a schoolteacher or nurse — and they can't have another job. Vaslui has a high poverty rate; being a maternal assistant, though low-wage, is one of few employment options. "Maternal assistants — it's not for the love," says Ganea. "It is a contract that can be broken at any time." But there's an ongoing debate about whether foster parents in Romania do it for love or money. Many who foster do rely on the money to survive. However, some say they would like to adopt their foster children but don't because they fear it might prompt the biological families to take the child back if they are old enough to work. And then there's the issue of stability. "I don't believe that a kid should be taken out from a good foster home after 10 to 15 years, to be placed back with his parents just because the government offered the parents an incentive to say they wanted the kid back," says the head of another foundation in Romania, who asked not to be identified for fear that her statements might negatively impact her relations with the government. "I believe that family is very, very important. But I also believe that family is where your heart is, where you feel peace, and where you are protected," she continues. "And when your own flesh-and-blood family is not giving you that protection that you need as a kid, then no, it is not good for the kids to be with their biological family." Oftentimes, children have significantly better living conditions in foster families, and it's often the only home they know. Even Armeanu, the head of child protection for Vaslui County, concedes that moving the children from foster care can be problematic. "Sometimes the children have a good, or a very good, condition in a foster family compared to what is happening in the biological family," says Armeanu. "And maybe it can be a demand on the part of the child to come back to the foster family." But the overarching belief in Romania is that the child should be with the biological family, regardless of how long he's been with the same foster family or whether the foster home is better able, materially, to care for him. "It's not good to have kids in foster care or foster homes for a long time. It's a broken connection. Sometimes the foster family has an interest because it's the only job to have here," says Ganea. A program like this one in Vaslui could help dramatically decrease the number of children in the care of the state. It also could save local and national governments money that's currently paid out to foster parents and used to run orphanages and group homes for abandoned children. In recent years, austerity measures have cut salaries for government workers, including foster parents, by 25 percent. The government also slashed the number of foster-parent jobs by 25 percent. There are more than 20,000 foster children in Romania. Armeanu and Ganea say the local reintegration program is a success: Of the 160 children who have returned to live with their biological families, only one has rejected his new situation. The officials plan to present the project to Romania's parliament this winter as a possible model for a nationwide program. Strasbourg — A European court on Tuesday told Romania it must respect a prisoner's right to food based on his religious beliefs after a jailed Buddhist was refused vegetarian meals. The prisoner, Ghennadii Vartic, a Moldovan national who is currently serving a 25-year prison sentence in Romania, complained that during detentions in 1998 and 2009, prison authorities would not provide him with a vegetarian diet as required by his Buddhist convictions. The Strasbourg-based European Court of Human Rights condemned Bucharest to pay the 40-year-old 3,000 euros ($4,130) in damages and 200 euros for costs and expenses for violating his freedom of religion. Until 2007 Vartic, who was an atheist before turning to Buddhism, received food from his family in line with his beliefs but authorities have banned such favours since thereby limiting his food intake. Bucharest which has three months to appeal argued that a number of prisoners convert to religion to receive better food. However the court ruled there was no proof that this was true in Vartic's case. Romania will cut its support scheme for new wind, solar and small hydro renewable energy projects from January, a government decree said today (17 December), to avoid overcompensating producers and curb price increases for industry and homes. The incentives give developers green certificates for each megawatt generated and force power suppliers and large users to buy them based on an annual quota set by the energy regulator. Green energy investors gain once by selling certificates and again when they sell their electricity. Under the new government bill, wind energy will get 1.5 certificates per megawatt until 2017 and 0.75 certificates onwards, from a previous 2 and 1 certificates, respectively. Support for solar projects was halved to three certificates per megawatt, while small hydro power plants will get 2.7 certificates per megawatt instead of 3. The new bill will affect only projects finished after January 2014, an adviser to Prime Minister Victor Ponta said. The European Union's support scheme, which has been in place since 2012, was once deemed too generous by the European Commission. It brought droves of foreign investors to Romania, particularly to wind energy, including Czech CEZ, Italy's Enel or Energias de Portugal. In June, the leftist government decided to hold off paying some of the subsidies for several years, a delay which applies to all producers. The Romanian Wind Association complained to the Commission over the subsidy delays. Czech CEZ, which operates Europe's largest land-based wind farm in Romania, complained that retroactively changing the rules conflicted with basic EU principles. Elsewhere in the EU, Germany, Britain and Spain have also cut incentives for renewable energy. PARIS — The hottest car in Europe this year is not a BMW, a Benz or a Bentley. It is Renault’s low-cost brand, Dacia, born in Romania. Dacia’s sales through November are up 21.1 percent from a year ago, to more than 260,000 vehicles, according to the European Automobile Manufacturers’ Association report released Tuesday, well ahead of equal second-place finishers Mazda and Jaguar, each with 15.6 percent gains. Not bad for a brand that only reappeared in 2004. With unemployment in the euro zone above 12 percent and economic uncertainty high, Dacia has found a foothold with prices as low as 7,700 euros, or about $10,600, taxes included, for its no-frills Logan sedan. Dacia is one of the bright spots in the European market, which has undergone a wrenching contraction since the financial crisis. Auto sales rose slightly in November in Europe for the third straight month, according to auto registration data released on Tuesday by the association, but they are still headed for another year of declines. Sales were down 2.7 percent for the first 11 months of the year in the European Union compared with the same period in 2012. Dacia’s success, and the continuing strength of the luxury segment, reflect a bifurcated sector in which the extremes are doing well while much of the market in the middle stagnates. The brand has also been a boost to Renault’s bottom line as competitors have struggled with the downturn in Europe. Louis Schweitzer, Renault’s former chairman and chief executive, recognized that mass-market cars made for the developed world could not be sold profitably in Europe’s emerging markets, so he sought to make Dacia a place to build a new car platform, called the M-zero (or M0), that would be economical, reliable and cost just €5,000. While he did not meet his price target, his gamble paid off when Dacia successfully debuted in 2004, targeting buyers in Eastern Europe and Turkey. To the industry’s surprise, it also caught on in Western Europe, especially after the financial crisis hit: Dacia’s European sales nearly doubled in 2009 from 2008 to more than 214,000 cars. Today it boasts a full range of pickup trucks, SUVs, and station wagons. 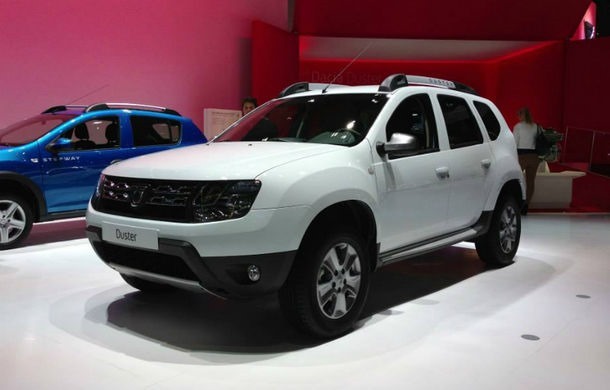 Its newest model, the Dacia Duster crossover, starts at €11,900. Mr. Deboeuf said the experience gained by developing a low-cost car from scratch had been hugely beneficial. “You can’t offer a car to your customers at an aggressive price if you don’t put pressure on your engineers, on sales, marketing, to control and reduce costs,” he said. Dacia spends little on marketing, and distribution costs are relatively small, because the cars are sold through existing Renault dealers. And there is no discounting. A big part of keeping costs down is the fact that none of the Dacia models that are sold in Western Europe are made there. Renault’s investment in the decrepit business transformed the company and created thousands of new jobs in Romania. But even Romania may be getting too expensive for Renault to hold the line. In April, the company warned the 10,000 workers at its factory in Pitesti, about 70 miles northwest of Bucharest, that it would move some jobs to Morocco if they did not moderate their wage demands. Renault has been careful to keep the brands separate in Europe, he noted, as Dacia’s image is not as prestigious as the parent company’s. The danger now, he said, is that Dacia sales could eventually begin to cannibalize sales of Renault’s own lower-end vehicles, eating into profit margins. “It’s a tricky equation,” he said. While Dacia has been a boon for Renault in Europe, the M-zero platform on which it is based has been even bigger in non-European markets including Brazil and India, where the cars are sold under the Renault brand. That helped Renault last year to record more than half of its car sales outside of Europe for the first time. Mr. Deboeuf said that there were no plans to enter the United States and Chinese markets, but that Renault is aiming to introduce Renault-brand M-zero cars next in Indonesia. Mr. Schattner said Dacia now “has a monopoly” on the entry-level market in Europe, and will likely hold it for at least three to five years, because its rivals have not decided how to respond. Though the Dacia brand’s reliability ratings are mixed, it performs modestly well in safety tests carried out by the European New Car Assessment Program, a consortium of governments and consumer groups. That has not escaped the attention of rivals. Executives of Volkswagen, Europe’s biggest carmaker, have said that plans for a low-cost VW brand would be revealed within the next year, assuming such a car could be produced profitably and to the company’s standards. The first one he ordered had a steering problem and, after some frustrating encounters with customer service, was replaced by the dealer. “All is good after three months,” he said. The liberal party PNL which is in coalition with the ruling socialists in Romania has vowed to block proposals that would increase the immunity of members of parliament from corruption charges, as the European Union presses Bucharest to rein in graft and organised crime. Brussels has had Romania's justice system under special monitoring since it joined the EU in 2007. The country has taken some steps against corruption, including jailing former prime minister Adrian Năstase, but critics say the new proposals risk undermining the effort and scaring off investment. Condemned by President Traian Băsescu and by several western embassies, the changes were approved by the lower house of parliament in a session on Tuesday. The bill, under which MPs would no longer be subject to investigation under corruption charges linked to public office - such as abuse of power or conflict of interest - were passed without proper debate, opposition politicians, pro-democracy groups and some western diplomats said. Crin Antonescu, whose Liberal Party co-rules in coalition with Prime Minister Victor Ponta's Social Democrats, said parliament should keep "all those articles that maintain criminal liability" in legislation. "I will propose that Liberal MPs reject those changes that have been made and can be interpreted in the way of creating a super-immunity," he said. "To repair a wrong decision is now the most important thing." Ponta later told reporters: "The law needs to be discussed again ... first with the justice ministry, the Supreme Council of Magistrates and the General Prosecutor's office, and if it is endorsed, must be presented to the European Commission to see whether it breaks any international obligations of Romania." The bill has yet to be submitted to President Traian Băsescu who must sign it into law for it to come into force. Băsescu has said he will not endorse the bill and send the proposed changes back to parliament to be amended. An opposition centrist grouping said it was preparing to file a challenge in the constitutional court. Judicial data show 28 lawmakers are on trial on corruption charges or serving jail sentences. The National Integrity Agency, an anti-graft watchdog, has ruled that 193 mayors, deputy mayors and councillors have had conflicts of interest, falsified statements or had wealth they could not account for since the middle of 2012. A study by the agency of local councillors showed many of them, or their spouses, owned firms which had been awarded public contracts. BUCHAREST (Reuters) - The U.S. embassy in Romania on Thursday condemned the broadcast of an anti-Semitic Christmas carol by state television, joining a long list of critics. Jewish groups, Romanian media and politicians, the Israeli embassy and other diplomatic missions have attacked the decision by channel TVR3 to air the song, which uses a pejorative word for Jews and celebrates violence against them. The country's national council against discrimination is currently investigating the broadcast. The U.S. embassy called it "an unacceptable display of anti-Semitism that must be condemned in the strongest, most unequivocal terms". "Intolerance and hatred are unacceptable and should not be condoned, especially not through the medium of public broadcast." State television said the carol was part of traditional folklore and that its selection for broadcast was made by the council of the northwestern Romanian county of Cluj. Hundreds of thousands of Romanian and Ukrainian Jews were killed in Romania and areas it controlled during World War Two as an ally of Nazi Germany. After Romania switched sides in the war in 1944, communist regimes did little to draw attention to the killings while nationalist governments after 1989 also kept them under wraps. Only in the early 2000s did Romanian officials admit that death trains, mass deportations and pogroms took place in Romania during World War Two and that anti-Semitism was a state-sponsored ideology even before the war started in 1939. JERUSALEM (AFP) -- A diplomatic spat has erupted between Israel and Romania after Bucharest reportedly refused to allow Romanian construction workers to be employed in West Bank settlements, Israel's military radio said Tuesday. The row comes in the wake of tensions between Israel and the European Union over new guidelines that bar EU funding for any Israeli entity operating in the occupied Palestinian territories. Talks with Bucharest on importing Romanian manual labor broke down in 2012, the radio said, but resumed at Israel's initiative after a new Romanian government came to power in May of that year. Differences center on Bucharest's request that Israel guarantee no Romanian construction workers would be employed on the settlements, which are considered illegal under international law. The Romanian foreign ministry confirmed to AFP that the talks were continuing and said Bucharest's position would be consistent with "respect for international law, the positions of the EU and the protection of Romanian citizens." It said the latest draft of the accord had been sent to Israel in August for possible revisions, adding that "the negotiations are nearing the end." It was Israel's second diplomatic row with an EU country this week following a dispute with the Netherlands over a new security scanner to be installed on the Israel-Gaza border that Dutch Prime Minister Mark Rutte was to have inaugurated Sunday. The Dutch government had hoped the scanner would serve to facilitate an increase in the export of goods from Gaza to the West Bank, while Israeli officials accused the Dutch of trying to impose "political conditions." The European Union guidelines, which go into effect in January, ban funding for and financial dealing with projects linked to settlements in the West Bank and annexed East Jerusalem. Israel has announced thousands of settler homes since peace negotiations began in July. Bucharest. Domestic and international critics poured scorn on Romanian lawmakers Wednesday after they unexpectedly voted to exempt MPs and the president from corruption charges while in office. The executive European Commission, which keeps a close watch on the EU member's drive to rein in corruption, warned that the snap amendments were "obviously something that will be taken up" in its report on the rule of law in Romania next month. "We have highlighted in previous reports that high public officials... should be covered by corruption and conflict of interest rules," Commission spokesman Mark Gray told journalists. "A very important principle for us is that all citizens are equal before the law," he added. The United States said the proposed changes to Romania's criminal code were a step in the wrong direction. "This move by the parliament is a step away from transparency and rule-of-law and is a discouraging sign for investors, which will negatively affect Romania's economy", the US embassy in Bucharest said in a statement. Romania's lower-house Chamber of Deputies, where a centre-left coalition holds a two-third majority, adopted the amendments on Tuesday after a secret meeting by the justice committee. The national anti-graft prosecutor and the magistrates council were not consulted and criticised the changes. Bucharest — Romania's Senate speaker on Wednesday called on the culture minister to quit after he complained that the country was spending too much in the fight against AIDS. In comments on Monday that sparked outrage, Culture Minister Daniel Barbu said he "could not help wonder how many Shakespeare festivals could be organised if the (anti-AIDS) programme did not exist or if its budget was halved". Senate speaker Crin Antonescu said the only conscientious step for Barbu was to resign. "Strong men with a conscience can step down" without their resignation being "a shame or dishonour", said Antonescu, who heads the National Liberal Party to which Barbu too belongs. UNOPA, an association supporting people affected by HIV/AIDS condemned the remarks as of "major offence to patients and to the experts fighting to save their lives". Barbu later apologised for his comments. Funding this year for the estimated 12,000 people in Romania living with HIV stood at 45 million euros ($61.7 million), down from 52 million euros in 2012, and was "a far cry from the patients' needs", UNOPA said. Romanian Parliament rejected a mining law that would’ve helped the development of projects including Gabriel Resources (GBU) Ltd.’s Rosia Montana gold mine, as hundreds of people protested against it. Lawmakers in Bucharest voted 160 to 105, short of the 204 votes needed to pass the law, which envisaged that mining activities must use the most advanced technologies that don’t harm the environment, according to Parliament speaker Valeriu Zgonea. The law got the endorsement of the special committees of Parliament late yesterday after being rejected by the Senate last month. A few hundred people took to the streets in Bucharest and in Cluj-Napoca, in central Romania, to protest against the law and Gabriel’s mining project, according to Realitatea TV. Gabriel Resources, also backed by Newmont Mining Corp. and BSG Resources Ltd., has spent more than a decade trying to build the $1.4 billion mine amid opposition by campaigners to the use of cyanide to extract gold. It agreed in August to increase the government’s stake to 25 percent from about 19 percent and accept a jump in mining royalties to 6 percent from 4 percent. BUCHAREST, Dec. 9 (Xinhua) -- Romanian Prime Minister Victor Ponta Monday defended cooperation with China, saying that a circular letter on China distributed by the European Union during a summit between Chinese and Central and Eastern European leaders held last month was not only uninspired, but also lacked vision. According to local media, during the summit between China and the Central and Eastern European (CEE) countries held on Nov. 26 in Bucharest, the EU sent a circular letter to the CEE leaders, asking them to maintain the common European policy in bilateral and multilateral negotiations with China. "Brussels' reaction as showed in the leaked circular, in which we were told what to do and what not to do when the Chinese premier comes, was not only uninspired, but also showed a lack of vision that actually grinds Europe and Brussels," said Ponta at a local debate of the Aspen Institute Romania. The prime minister said that presence in Bucharest of Chinese Premier Li Keqiang and other fifteen heads of government in the region was an "opportunity" for his country as "Romania has emerged as an interesting partner for China and other countries in the region." "Even without any circular, I stated very clearly, so did the Polish, the Slovak, the Hungarian and the Bulgarian prime ministers, that we respect all decisions of the European Union, and even more, we want to learn from Germany, or France or Italy so as to have better relations with China," Ponta stressed. Highlighting mutual respect and win-win cooperation, the summit, the second of its kind, concluded with an action guideline on boosting common development between China and CEE countries as well as the whole European Union. The guideline will not only vigorously promote China's cooperation with CEE nations, but also is conducive to European integration and the deepening of China-EU comprehensive strategic partnership, said Li after the summit. Before the summit, Li said in a signed article published by the British daily Telegraph that China will, as always, firmly support Europe's integration process, stressing that a united, stable and prosperous Europe is in the interests of the world and China. Bucharest — Romanian Culture Minister Daniel Barbu sparked outrage Monday after saying the national anti-AIDS programme received too much funding compared to his own department. "During debates on the 2014 budget I was shocked to discover that the budget earmarked for the fight against AIDS was half that devoted to all the programmes run by the culture ministry," Barbu said during a public debate. He said that he did not want to sound cynical but "could not help wondering how many Shakespeare festivals could be organised if the (anti-AIDS) programme did not exist or if its budget was halved". "Romania is not South Africa, nor does it count millions of people affected by this hideous scourge of our times," he said. UNOPA, an association supporting people affected by HIV/AIDS, condemned the remarks as of "major offence to patients and to the experts fighting to save their lives". "The minister blames patients for the lack of festivals and suggests the anti-AIDS programme should be abandoned, which would mean condemning these people, most of whom were infected in 1988-1990 by the health system," UNOPA said. Under the Communist regime, which was toppled in December 1989, hundreds of babies were infected with HIV after transfusions with unscreened blood or injections with unsterilised needles. UNOPA president Iulian Petre told AFP that 45 million euros ($61.7 million) went to the anti-AIDS programme in 2013, down from 52 million euros last year, which is "a far cry from the patients' needs". He added that many patients are deprived of regular treatment because they cannot afford the weekly trips to city hospitals that administer anti-retrovirals. Romania's health system suffers from a dramatic shortage of funds, with hospitals often lacking even the most basic of medicines. BUCHAREST, Romania (AP) — Romania's prime minister said Monday he will delay a proposed diesel fuel tax increase that the president has opposed, but go ahead with one on gasoline. Victor Ponta said he would delay his plan to raise diesel prices for three months, but that he will go ahead with a proposed tax that would raise gas prices by seven euro cents (10 U.S cents) per liter (0.26 gallons). President Traian Basescu last week said fuel increases would "harm Romania's interests and economic recovery," hitting vulnerable retirees especially hard. Given the large majority that Ponta's party has in Romania's parliament, it is expected to quickly pass the new gas tax. But Basescu said if that happens he will not sign a memorandum for a standby loan with the International Monetary Fund and will reject next year's budget. The two leaders are bitter political rivals. Basescu last week accused Ponta of being "deeply corrupt" and of using legislation to unfairly benefit his governing Social Democracy Party. The government has promised the IMF it will rein in spending and keep its budget deficit down. An IMF mission is due to visit Romania in January. Pungesti — Hundreds of protesters rallied Saturday in the northeastern Romanian village of Pungesti against plans by Chevron to drill for shale gas, leading the US energy giant to temporarily suspend activities there. "Chevron go home", protesters chanted as they tore down barriers to briefly enter the site where Chevron intends to drill its first exploration well in Romania. In a statement sent to AFP, Chevron said it "has suspended activities in Pungesti commune as a result of unsafe conditions generated by unlawful and violent protester activities." It said the suspension was temporary without elaborating. It is the second time that Chevron has been forced to suspend its activities in this Romanian village due to anti-fracking protests. The first suspension occurred in mid-October but Chevron on Monday had resumed its operations after Romanian riot police forcibly removed shale gas protesters from a makeshift camp next to the drilling site. "We want our soil to stay free from pollution, we want Chevron to leave," one of the protesters, Adrian Pana, 33, told AFP on Saturday. Many in this rural region oppose the highly controversial drilling technique used to extract shale gas known as "hydraulic fracturing" or "fracking". Widely used in some US states like Pennsylvania and North Dakota, it has been banned in France and Bulgaria because of potential pollution to air and water. Protesters also called for the resignation of Romanian Prime Minister Victor Ponta, who opposed shale gas while in the opposition but became a promoter once in power. Chevron said this week it will continue its "dialogue with the public, local communities and authorities". On Saturday, the group said it has "the required permits and approvals for our activities in Pungesti". The country's Constitutional Court has ruled that the "Moldovan" language will be replaced by Romanian as the former Soviet republic's official tongue. Moldova's 1991 Declaration of Independence stated that Romanian was the new country's language, but the Constitution of 1994 changed that to "Moldovan." Constitutional Court Chairman Alexandru Tanase ruled on December 5 that the Declaration of Independence takes precedence over the Constitution. Moldova's communist opposition has criticized the decision. Moldova was part of Romania until 1940, when it was annexed by the Soviet Union, which renamed the region's language "Moldovan." Romanian President Traian Basescu called the Constitutional Court's ruling "an act of justice." The decision comes a day after U.S. Secretary of State John Kerry paid a short visit to Moldova. Last week Moldova's pro-European government initialed an Association Agreement with the European Union. On December 1, for the first time, Moldovan President Nicolae Timofti attended Romania's National Day festivities marking the country's unification in 1918. Faced with stiff opposition from older EU members, Romania is no longer asking for an accession date to the Union’s borderless Schengen area. “We are ready for Schengen when you are”, Romanian Interior Minister Radu Stroe will tell his colleagues at a meeting in Brussels today (5 December). Romanian Prime Minister Victor Ponta has asked Stroe to tell EU ministers that Romania remains ready for Schengen accession, but will not beg for a date, as it is sick and tired of being told “next time”, the Romanian press reports. The issue will discussed by EU ministers today at 3PM Brussels time, according tothe agenda of the ministerial meeting. It has been more than three years since the European Commission considered that Bulgaria and Romania, which joined the EU in 2007, were technically ready to join Schengen. Michele Cercone, spokesperson to Home Affairs Commissioner Cecilia Malmström, said on Monday that “legally speaking, Bulgaria and Romania are part of the Schengen space”. However, a number of older EU members, in particular the Netherlands and Germany, oppose the accession of the two newcomers to Schengen and have used their veto on a number of occasions. “Whatever depends on us for Schengen accession we did it, whatever depends from member states they can do it when they want. We no longer wait to be given a date. When they will finish all their national election, when they will sort out all their problems, they will find us ready,” Ponta said, referring to the prevailing populist attitudes of the political class in Western countries. Different media outlets cite different countries as being the most opposed to the Schengen accession of Bulgaria and Romania. Netherlands and Finland are the most frequently mentioned, but also Germany and France. Paris however has been more open-minded lately, signalling that it would not opposes a gradual accession of the two applicants to Schengen – first with their air and sea borders, and at a second stage with their land borders. Some statements by Western politicians signal a confusion or even misunderstanding of the issue. Schengen accession will not “open Western borders” to Bulgarians and Romanians, who are free to travel to the Schengen space since 2001. It would not either impact on the arrival to the West of Roma population from the two countries. Schengen is also unrelated to the so-called “Cooperation and Verification Mechanism” (CVM) set by the Commission to help Bulgaria and Romania overcome shortcomings in their law-enforcement systems. Nevertheless, many politicians in the West have said they would not open their doors to Roma population, and the Netherlands says it would only lift its veto after two successive positive CVM reports. All reports so far have been critical, the next one being due in January 2014. When Bulgaria and Romania eventually join Schengen, border controls at the Greek-Bulgarian border and at the Hungary-Romanian border will disappear. Greece, which is a Schengen member since 1992, has so far no land border with Schengen. Also, travel to and from Bulgaria and Romania at airports would be exempt of passport control. Some analysts have said that the recent wave of immigration impacts on Schengen enlargement. Greece is stranded with immigrants which would be tempted to leave this country and seek opportunities further north in the EU. BUCHAREST, Romania (AP) — Romania's top court has sentenced former Economy Minister Codrut Seres to six years in prison for commercial espionage and treason in the sale of companies. Former Communications Minister Zsolt Nagy was also sentenced to five years for being part of criminal group. The two have said it's a politically-motivated case. The court ruled Tuesday they were involved in commercial espionage and treason, obtaining secret commercial documents relating to the sale of state-owned companies, including energy firm Petrom and telecommunications company Romtelecom, between May 2005 and November 2006, and using the information against the country's national interests causing millions in damages. Mihai Dorinel Mucea, a state privatization official, was sentenced to 9 ½ years, and Czech citizen Michal Susak received 10 years for complicity to spying. The sentences can be appealed. On a frozen field braving police, Romanian villagers hold vigil in a makeshift camp set up to block US energy giant Chevron from exploring for shale gas. On Monday, hundreds of Romanian riot police forcibly removed protesters from the camp clearing the way for Chevron's excavators to reach the site where the company intends to drill its first exploration well in Romania. But some of the villagers from Pungesti, in this impoverished region of North-Eastern Romania, hung on, taking turns to man the camp just adjacent to the Chevron site and despite an imposing police presence. "We have potatoes to eat, an improvised stove. We protest to protect our way of life and our health," one of the local farmers, Alexandru Focsa, 44, told AFP. "The authorities do not want to listen to us but we are determined to go on despite the abuses and the fines handed by the police," he said. Like Focsa, many in this rural region oppose the highly controversial drilling technique used to extract shale gas known as "hydraulic fracturing" or "fracking". Angered, locals have been organising sit-ins and protests since Chevron obtained three permits to drill in the hills around Pungesti earlier this year. Mass rallies also took place in Bucharest. Their ire has especially turned on the centre-left government of Victor Ponta, who opposed shale gas while in the opposition but became a promoter once in power. In October, protests in the village forced Chevron to postpone test drilling, but on Monday police were present to intervene. "Police arrived at night, they beat us up with batons and dragged us away," Focsa told AFP though police said they used force only to clear a public road. At dawn, an AFP photographer saw a riot police commander arrive at the makeshift camp and order a colleague to begin making arrests. But when police learned journalists were also present, the arrests did not take place, and a government mediator asked only if protesters needed bread. Greenpeace on Tuesday slammed the operation as "a serious abuse against the freedom of expression", reminding that the permits are currently being challenged in court. Following the raid, Chevron said its priority was to "conduct its activities in a safe and environmentally responsible manner". "We will continue our dialogue with the public, local communities and authorities," the company added. Despite the protests, Chevron also said its exploration work was able to begin on Monday as planned. BUCHAREST, Romania — Romanian President Traian Basescu says he won’t sign a letter of intent and International Monetary Fund memorandum to protest a government decision to hike fuel prices. In November, the government said it would increase 1 liter (0.26 gallon) of fuel by seven eurocents (5 U.S. cents), which Basescu said was aimed at raising revenue for elections next year. Basescu said Monday “this measure ... harms Romania’s interests and economic recovery,” and will hit retirees the hardest. Basescu said the IMF’s mission will return to Romania in January and the government can renegotiate the tax. He said his refusal to sign the memorandum wouldn’t hurt Romania. The IMF approved a 1.98 billion-euro ($2.68 billion) precautionary loan to Romania in September that the government said it will not draw on. A leaked British report into the archaeological significance of an ancient Roman gold mine has helped to scupper plans by the Romanian government to approve invasive mining at the site. The expert report, kept hidden for three years by the Bucharest government, was commissioned by Romania's ministry of culture and funded by a not-for-profit organisation, Pro Patrimonio, which works to protect Romania's cultural heritage. The report says that the ancient site, in Rosia Montana in the Apuseni Mountains of western Transylvania, is worthy of consideration as a Unesco world heritage site and that its galleries are "the most extensive and most important underground Roman gold mine known anywhere". This month, the ministry of culture presented a list of monuments that it would like to see included as world heritage sites, but the picturesque village of Rosia Montana, with its ancient galleries that tell of Roman mining, was not on it. The village sits near one of the largest undeveloped European gold deposits. A Canadian mining company, Gabriel Resources, wants to extract the gold using a method that would reportedly require 40 tons of cyanide daily. Politicians have backed the plans. In 2010, the town's mayor, Eugen Furdui, admitted: "If Rosia Montana were added to the Unesco world heritage list, that would automatically mean that mining [could not] go through. And we want this mining project to be carried on." The report's authors – Andrew Wilson and David Mattingly, professors of Roman archaeology at Oxford University and Leicester University respectively, and Mike Dawson, director of archaeology at the environmental consultancy firm CgMs – travelled to the site and were impressed by what they found. "The key thing we were asked to do was to evaluate the site and see if it was a worthy consideration to be a Unesco world heritage site," Professor Dawson said. "Our opinion is that it has a very high status." The experts' findings remained unknown until November, when the report was leaked, backing up hundreds of thousands of protesters who had been pressing the Romanian government to drop legislation that would have enabled Gabriel Resources' project to go ahead – destroying villages and mountains. "I am glad the public [can now see] that information," Professor Dawson said. "It deserves to be out there." A government commission has now rejected the mining proposal. However, opponents warn that the reprieve is only temporary, as the rejection was based on technical and legislative reasons rather than environmental. This means that the door remains open for companies such as Gabriel Resources to submit revised proposals. In response to the latest rejection, Jonathan Henry, chief executive of Gabriel Resources, said: "Our goal remains to bring the project through to a reality that will significantly benefit Romania and Rosia Montana." With the leaking of the British study, it will be difficult for the Romanian government to deny the contribution that the area makes to world culture. But, as Professor Dawson warned, the financial gains from mining are high. "In my experience, money talks," he said. "If [the report] is criticised, it will be criticised on the basis that conservation costs money." Bucharest — Hit by declining demand on the local market and in parts of Europe, Romanian farmers say China's growing meat needs may help them out of the hole. Chinese officials earlier this week signed two agreements to import 500,000 cattle and three million pigs from Romania over the next few years. On a visit to Bucharest, Premier Li Keqiang said China also wanted to import sheep and possibly other food produce. "We can buy all you can deliver," Li said after talks with Romanian counterpart Victor Ponta. Fast-paced urbanisation and development of a middle class have radically changed the Chinese diet, with meat increasingly replacing or complementing rice and vegetables. "In 1978, China?s meat consumption of 8 million tons was one third the US's. Now China?s annual meat consumption of 71 million tons is more than double that in the US", Washington-based Earth Policy Institute said, citing USDA figures. In their 2013 Agricultural Outlook, the Organisation for Economic Cooperation and Development (OECD) and the United Nations' Food and Agriculture Organization (FAO) said meat demand in China will continue to rise in the next ten years, in line with rapid expansion of household refrigerators. In rural northern Romania, breeder Dumitru Grigorean said China's plan to import livestock was good news. "It would be a pity to miss the opportunity," Grigorean, 44, told AFP. "Of course I'd earn a lot more if I made (computer) tablets like the Chinese do, but I'm only good at raising cattle," he added. Grigorean said he invested some 80,000 euros ($108,862 dollars) in his farm, buying 70 French meat cows, and expected to start seeing a profit two years from now. "The cows thrive on the rich grass and enjoy the fresh air even when it is cold," he said. He said that several members of his cattle breeder association, who own up to 2,000 head each, were set to export cows to China. But Dragos Frumosu, the leader of the food industry trade union, said Romania did not have enough cattle to meet Chinese demand. "The solution would be to set up joint farms with Chinese capital or encourage local farmers to expand by using more European Union funds," he told AFP. Agriculture minister Daniel Constantin said Romania's cattle stock dropped sharply from 2.8 million in 2001 to 1.2 million this year. But he added that the government earmarked 830 million euros of public funds and European money to help breeders increase stock. Romania currently imports up to 70 percent of its beef consumption and some 50 percent of pork consumption, but also exports cattle and sheep mostly to Arab countries. During the first eight months of 2013, the Balkan country's livestock imports amounted to $141.5 million while exports stood at $276 million, official figures show. Constantin said Romania would have no problem exporting sheep as it has a surplus of around 5.0 million heads. Shuanghui International's recent takeover of Smithfield Foods in the United States, which owns a pork producer near Timisoara in western Romania, will partly solve the pork exports issue. The former Smithfield's Comtim farm breeds some one million pigs, out of a total of 5.7 million raised in Romania. "Local farmers used to complain that they have no outlet for their meat," Stefan Minea, head of the Romalimenta food industry association, told AFP. "Now they can export to China. But they must make sure quality standards are met and the price is right," he added. Minea said the Chinese will do it their way: set up offices in Romania, inspect the farms, make sure the livestock is disease-free and if they are satisfied give credits to the breeders. "Romanian farmers have little money to invest," he stressed. "We have to help ourselves but we also need to get subsidies, as do farmers all over Europe and in the Americas," Grigorean said. "Because as much as we love what we do, if we see that our pockets are empty one day we might give up farming, and maybe keep just one or two cows as a hobby."